Here we specifically address halter breaking, but the running theme (“Give me your head, relax”) can be applied to many similar issues. Also covered to a lesser extent: Getting your horse to turn and face you in a pen or stall and head shyness. A horse that leads well also respects your position as leader; you’ll find positive effects not only on the ground -- but in the saddle as well. Learn a quick fix for getting a horse moving again if he freezes up when being led -- with an eye toward lasting changes. Lungeing your horse can offer great benefits, but you gotta use the time wisely. Here’s how, when and why. Here’s a way to teach your horse to proactively load himself -- and to do so in a rather showy fashion. 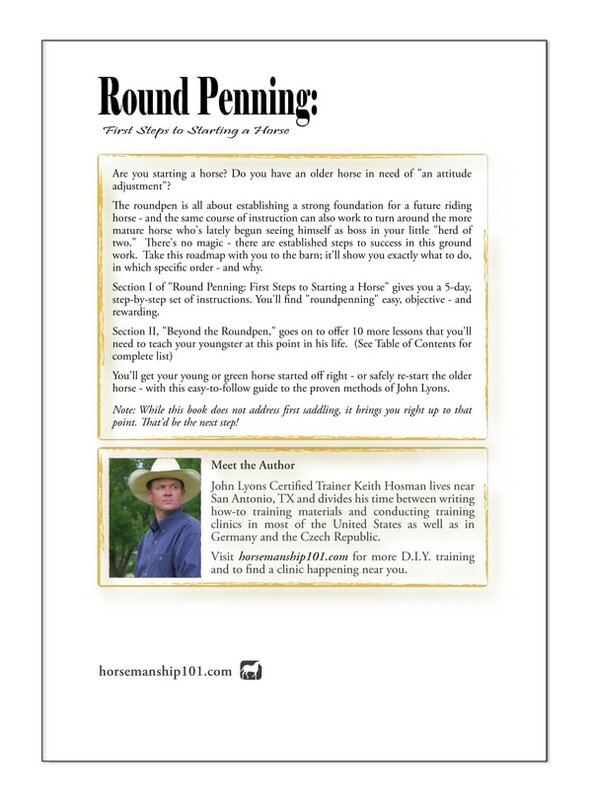 ​The changes you can make in the round pen are amazing – but training there is about much more than simply running a horse in circles. There are objective and progressive steps. This guide to the proven methods of John Lyons, shows you exactly what to do, in which specific order, and why. You’ll build a strong foundation on your green horse - or reset the attitude of a more mature horse. If you're starting a horse or need to turn around an older horse that's proving a challenge, round pen training is your very first step. The changes you can make there are amazing - but to make these advances, you'll need to know that there is a tried-and-true system. It's more than simply running a horse around in circles; there are objective and progressive steps. It's easy - but you can't go in without a plan. This guide to the proven methods of John Lyons, shows you exactly what to do, in which specific order, and why. Follow this material as written to turn around older horses, those "set in their ways," as well. 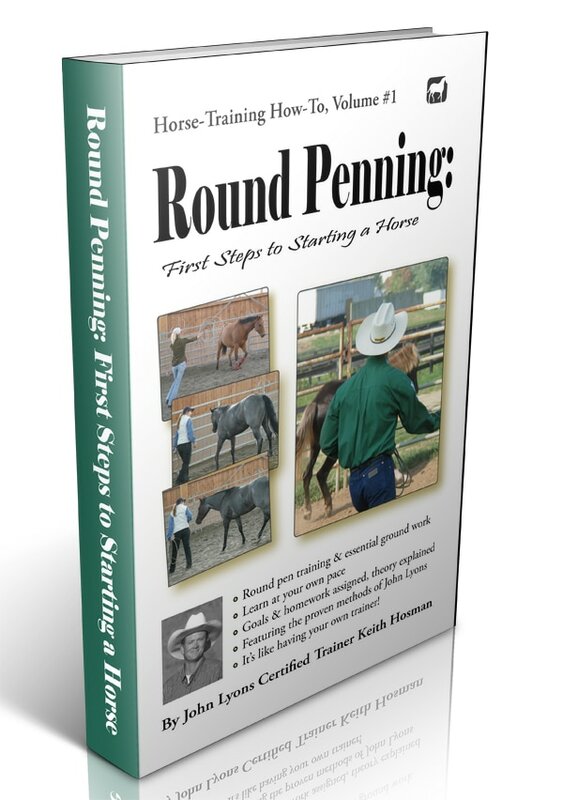 Section I of "Round Penning: First Steps to Starting a Horse" gives you a 5-day, step-by-step plan to take with you to the round pen. Section II goes on to offer 10 more lessons that you'll need to teach your young horse at this point in his life, (haltering, leading, lungeing, vices, gaining respect, hoof care, trailer loading & more). Build a strong foundation for your green horse - or reset the attitude of a more mature horse. Do it today! He's only getting bigger! *Note: This book does not address first saddling, it brings you right up to that point. That'd be the next step.